Roundup QuickPRO is a nonselective postemergent herbicide for commercial, industrial, non-crop and residential use. 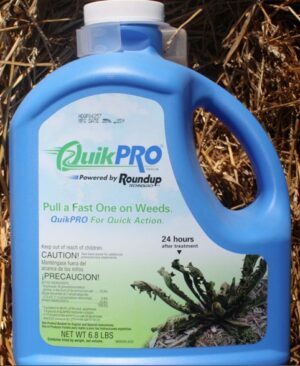 QuickPRO has two active ingredients: 73.3% glyphosate and 2.9% diquat. The addition of diquat, along with the surfactant, gives you even faster burndown. 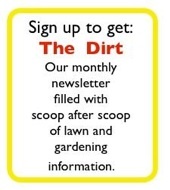 It controls broadleaf and grass weeds, or woody brush and trees – roots and all. Roundup Quick Pro is absorbed quickly by plants and is rain fast in about an hour. This super-fast dry time means rain won’t wash the product away as easily and it works much faster than typical glyphosphate products. 6.8 lb jug comes with a convenient 4.5 oz measuring cap. This 6.8 pound container will cover approximately 2 acres. A one-two punch for existing Winter weeds and pre-emergent Spring weed control. One Acre of Yellow and Purple Nutsedge and Green Kyllinga control.